There’s certainly a lot to consider when it comes to a bathroom remodel. What sort of aesthetic are you going for? What materials do you want to use? According to Dousman, Wisconsin's leading plumber and bathroom remodel contractor, Traditional Plumbing, among the biggest of these concerns is the decision whether you want to take the job on yourself or hire a professional to take care of it for you. Costs: The DIY approach may seem cheaper initially; you’ll need to purchase the appropriate tools and materials, but will save money on labor costs. If costs are of a foremost concern for you, though, note that most contractors will offer financing, payment plans, or other ways to make it affordable. If you find that you lack the proper experience halfway through the project, it could actually be more costly due to wasted materials. Time: Unless you’re already a contracting professional yourself, you’ll find that doing it yourself takes much longer; without years of experience in the trade, you will have to undergo a learning curve as you do the work. If you want it completed faster, then hire a professional. Expertise: There’s no doubt that some aspects of the bathroom remodel can easily be handled by any handy individual when it comes to putting down tile or repainting the walls. The difficult stuff, though, is a different story; you probably need someone experienced in plumbing repair and installation to handle the installation of a new bath, shower, or toilet. In terms of workmanship and high-quality end results, you’re best off going with a contractor. 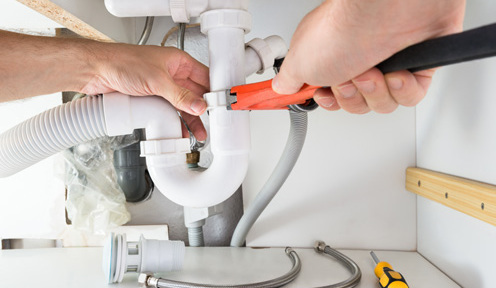 If you’re in the Dousman area, then that plumbing contractor should come from Traditional Plumbing, a small business that prides itself in ensuring that clients are completely satisfied with the results. Learn more about the team online, and call (262) 470-1228 to schedule a consultation.